A few weeks ago I took a Central Coast California Road Trip, and spent some time exploring some of my favorite areas of California. One area I hadn’t explored too much was around Pismo Beach, and since I had explored a lot of the Paso Robles region, it was time to focus a little more south in San Luis Obispo, particularly in the Edna Valley AVA. Upon first entrance, I knew I was truly going to enjoy my day in Edna Valley. The small town charm, of California SLO Living was front and center throughout the Edna Valley. EXACTLY why I love getting out to these smaller, wine regions, that still make incredibly GREAT wine. 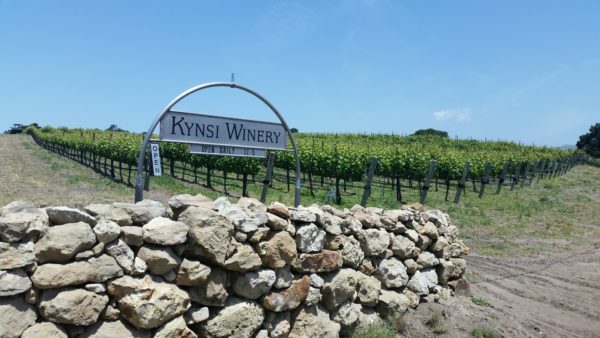 And the barn, truly, was where part of the tale of Kynsi Winery was born. 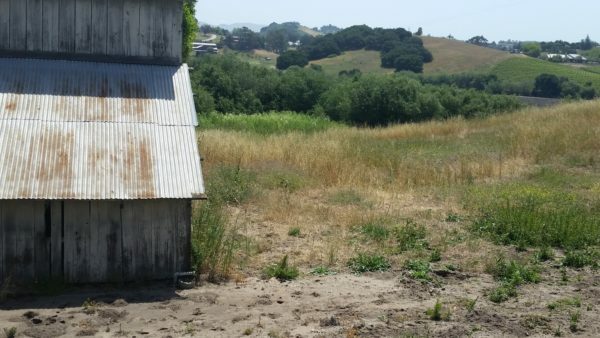 When they first purchased the property, there was a major gopher problem, and they soon found out that Barn Owls were their #1 predator. They eventually installed two perches near the barn, and a nesting pair eventually found their new home, and guess what? The gophers slowly began to disappear! 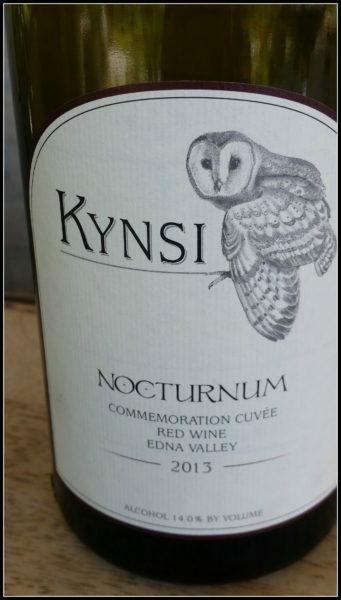 And that is why Kynsi Winery (which meals Talon in Finnish) has a Barn Owl as their mascot for their winery, and the barn still sits beautifully on their property. 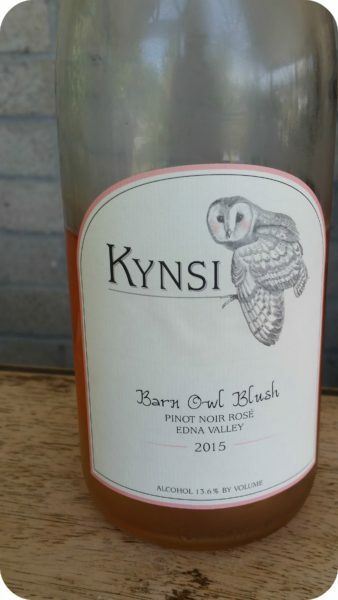 Kynsi Winery focuses on their Pinot Noirs, so it only made since that they would have a Pinot Noir Rose available just in time for summer. This Rose retails around 24.00, which is priced right for a Rose. Very refreshing to start with, and perfect for these hot summer days. After the Rose tasting, I also tried out their 2015 Chardonnay, before diving into their Red Wines, and in particular their Pinot Noirs. It was a great start to my day in Edna Valley, and a great introduction in seeing how well Pinot Noir excels in this region.